We’re different from other San Sebastián hotels as we have meticulously designed all our rooms. This delightful hotel has 12 rooms: ten doubles, one single and one junior suite. 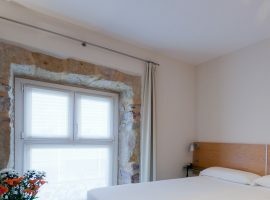 Our hotel boasts the highest possible levels of comfort and cleanliness, which guarantee great service for anyone looking for a hotel in the heart of Saint Sebastian.